1. Revised the wages of the Central Government employees including Gramin Dak Sewaks with effect from 1.1.2011 and every five years thereafter by setting up the 7th CPC. 2. Merge DA with pay for all purposes with effect from, 1.1.2011 including for Gramin Dak Sewaks. 3. Remove restriction imposed on Compassionate appointment and the discrimination on such appointments between the Railway workers and other Central Govt. employees. 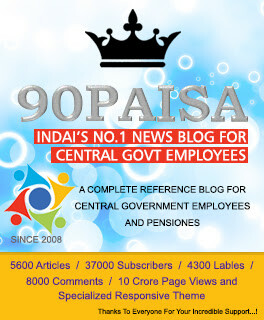 (b) Regularise the daily rated, contingent, casual workers and introduce a permanent scheme for periodical regularization. Pending regularization, provide them with pro-rata salary at 6th CPC rates. 5 (a) Revive the functioning of the JCM. Convene the meeting of the Departmental Councils in all Ministries/Departments. Settle the anomalies raised in the National Anomaly Committee as also in the Departmental Anomaly Committees. Hold National Council meetings as specified in the JCM constitution. (b) Remove the anomalies in the MAC P Scheme. (c) Grant recognition to all Associations/Federations, which have compiled with the formalities and conditions stipulated in the CCS(RSA) Rules. 6. Fill up all vacant posts and creates posts in functional requirements. 7. Stop downsizing outsourcing, contractorization, corporatization and privatisation of Government functions. 8. (a) Stop the proposal to introduce the productivity lined wage system; (b) discard the performance related pay structure; (c) Introduce PLB in all Departments; (d) Remove the ceiling on emoluments for bonus computation. 9. Revise the OTA, Night duty allowance and clothing rates. 11. Grant Five promotions to all employees as is provided for in the case of Group A services. 12. (a) Withdraw the PFRDA Bill. (b) Rescind the decision to allow FDI in pension sector; (c) Scrap the new contributory pension scheme; (d) Extend the existing statutory defined pension scheme to all Central Govt. employees irrespective of their date of entry in Government service. Dear Comrades, please try to get GOOD WAGES for central Govt employees.